So, you want to knock up something tasty for dinner to impress your guests, other half, children or even just yourself (delete as applicable). But you've only got a jar of pesto in the cupboard, and apart from jazzing up some stale dry spaghetti, your mind draws a recipe blank, where in fact it should be drawing inspiration from the fact there are all sorts of wonderful, tasty things you can do with pesto. And not just pesto. You may be familiar with Sacla, the Pesto Pioneers who create various authentic Italian stir-in sauces, anti-pasti, fresh pasta and of course pesto. Well, they've launched a new range of these products and last week they got the fabulous Friday Food Club on board to help showcase their new delights, by holding a wonderful intimate dinner party at the AK Rowing Club in Hammersmith, overlooking the River Thames. 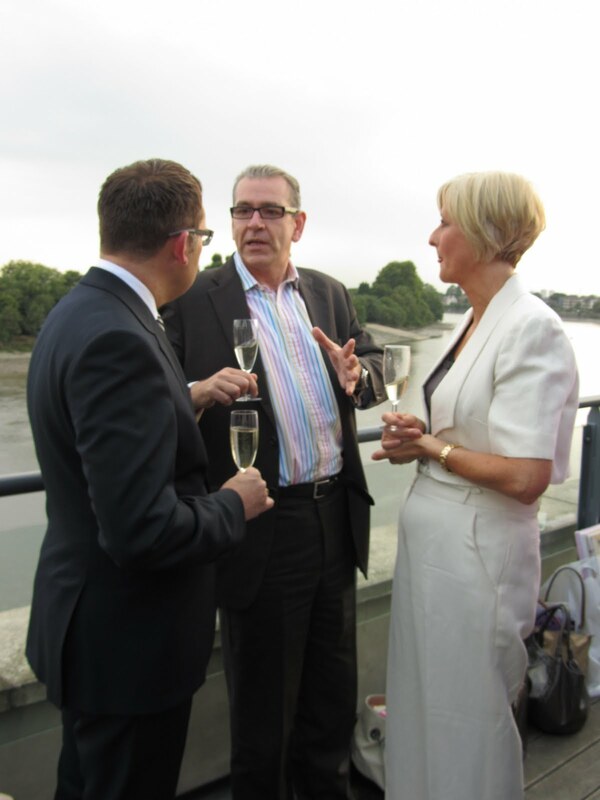 It was a great honour to be invited along to partake in the evening and the sun even made an appearance. As the guests congregated on the balcony, we were offered a glass of Bruno Giacosa Spumante 2005 from Piedmont which went very well with all the amazing Sacla-infused canapes that descended upon us, including sage puffs with pesto & creme fraiche, crumbed quails eggs with an asparagus & white wine sauce, poached mussels with a pesto cream crumb, and goats cheese & tomato pesto calzoncini. Who knew pesto could be so versatile - I bet your mouth is watering by now. And those were just the canapes! 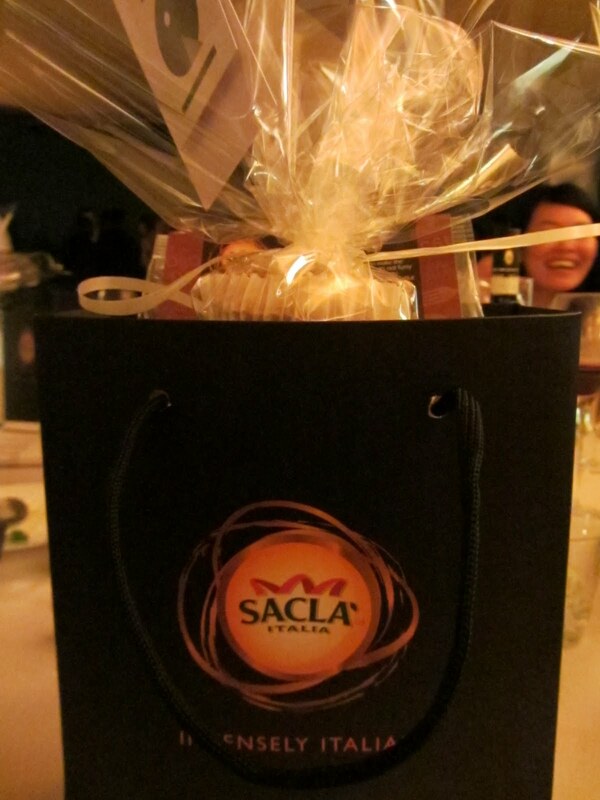 Clare Blampied, the Founder of Sacla UK was there, along with various other lovely people from Sacla. She said a few kind words just before dinner and thanked Lee & Fiona from The Friday Food Club, and the amazing team of chefs who were on hand that evening, including Steve Groves (Master Chef Professionals Winner 2010), John Quilter, Lilly, and Mark Lloyd (ex-River Cottage Head Chef). They really did do a remarkable job and worked their magic with all the dishes. Hey pesto! (Sorry). As dusk settled, we all took our seats inside the wonderful room at the AK Rowing Club for dinner. 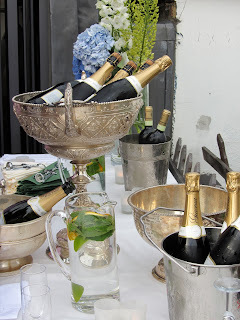 The guests were such a great bunch of people, all so friendly, chatty and enthusiastic. And all with pesto on their minds. We started off with coriander pesto pea fritters with a spiced green sauce which were delicious and had a real kick. The bottle of chilled white Roero Arneis 2010 wine was an ideal accompaniment to cool the tastebuds. The pasta course was Sacla Trofie fresh pasta with a cherry tomato & wild garlic sauce with shaved aged parmesan. Delicious (and very happy to get a packet of this pasta in our goodie bag. Absolutely do try this at home!) The main course was a load of balls. Very tasty balls I hasten to add. Arrancini & pork bitterballen served with spicy red pepper sauce and rocket pecorino salad. We enjoyed a very quaffable bottle of red Nebbiolo d'Alba 2008 to go with this. Feeling very full by now, we managed to save a little room for pudding which was a delicious Bison Grass vodka & mint panna cotta with candied pistachios and summer berries. Sublime! Fi of FFC was resplendent in her footwear finery (I always get a twinge of shoe jealousy when I see her) and she made everyone one of her signature breakfast muffins for the goodie bag. Perfect with a cup of tea the morning after the night before. 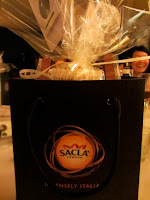 A terrific evening was had by all, and many thanks to everyone at Sacla and the fantastic team at The Friday Food Club for making it happen. Hmm, what'll it be tonight I wonder? Fresh Orecchiette with a tomato & mascarpone sauce? Decisions, decisions.